The Cobblestone Farm Association Museum Gift Shop is open during regular Sunday tours and by appointment. 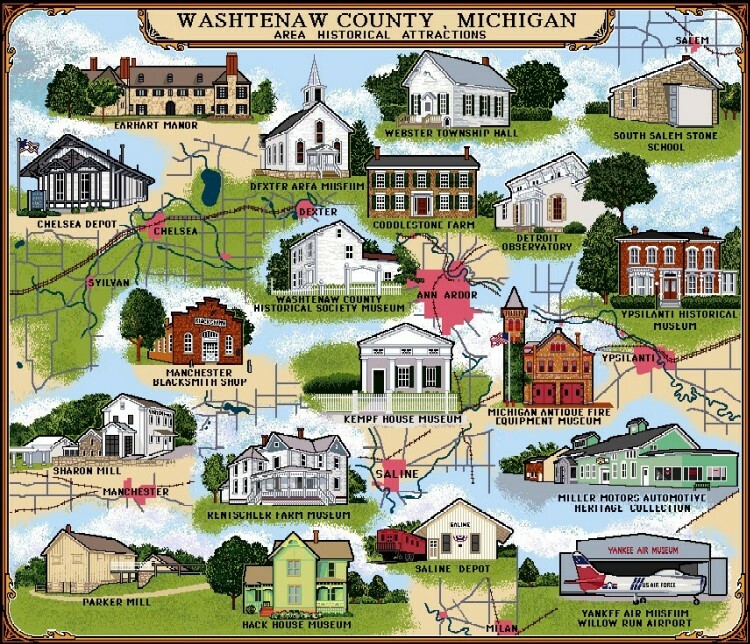 This computer-woven design is superimposed over a map of the county to aid those who never realized how historic their surroundings truly are. In their first year�s organization, the Consortium of the county�s historic attractions is featuring 19 properties on a 50� x 60� coverlet.